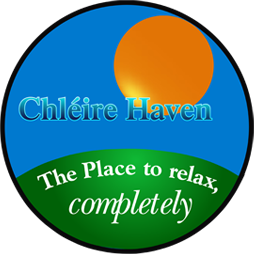 Source, collect and preserve records concerning all aspects of Cape Clear island life. Organise the collection of artefacts of folk, farm and maritime life and see to their exhibition and preservation. Develop an Exhibition Centre and Heritage Archive to house both artefacts and documentation of island interest. With the help of the island community, and Irish State Agencies the Cleire Museum Society has restored and equipped an old schoolhouse, which now holds a large collection of exhibition material and documentation relating to island life and history. Interpretative exhibition panels cover island settlement patterns, folk and farm, genealogy, folklore, place names, education, famine, telegraph and maritime history. The museum society has undertaken archaeological, geological, botanical, ornithological and genealogical surveys of the island. Events of note in the history of the island are also remembered with special anniversary commemorations, exhibitions and lectures. Cartlann Chléire / Cape Clear Island Archive contains research material compiled since 1976 by Dr. Éamon Lankford about aspects of Cape Clear island history and heritage. The collected documentation refers only to Cape Clear island and islands in Long Island Bay and other West Cork islands. Apart from Baltimore and O Driscoll family and history related subjects, it does not contain data relating to the mainland of County Cork or any other part of Ireland. A selecting of original documentation relating to Cape Clear island is to be preserved at Cork County Library, Carrigrohane Road, Cork, Ireland. The collection of data and compilation of records relating to the island and the O Driscoll family worldwide is a permanent work in progress project. As Cape Clear Island is the heart of the territory which was left to the O Driscoll's after the Battle of Kinsale in 1601, Cape Clear Museum and Archive has a particular interest in hearing from all who are related to the Clann O Drisceoil (O Driscoll Family Worldwide). Cape Clear Island Museum & Archive invites the submission of O Driscoll related family histories, genealogies, and career profiles for inclusion in a volume of The O Driscoll Collection. Cape Clear Museum Archive invites the submission of documentation of any kind relating to the 1979 Fastnet Race or the race of any other year. Memories, poems, photographs, newspaper accounts, tape recordings, personal accounts, video and film material will be welcome at any time into the future for inclusion in the Fastnet Collection at Cape Clear Island Museum Archive. As is widely known the biennial flagship Fastnet Race event leaves Cowes, Isle of Wight and sails past Cape Clear island, Co. Cork and around the nearby Fastnet Rock, and back to Plymouth. This great sailing event which engages up to 3000 participants usually gets extensive media attention with articles appearing in newspapers, sailing magazines and journals. TV and Radio Sports channels worldwide cover this major sporting event. Cape Clear Museum Archive is eager to receive from journalists, the sailing community worldwide and others, copies of all kinds of documentation and audio-visual material relating to the Fastnet Race of any years which will be included in the Fastnet Collection at Cape Clear Island Museum Archive. Some of the Fastnet Collection volumes also contain material relating to the building of the Fastnet Lighthouse and other West Cork lighthouses. The submission of articles and other accounts of the lighthouse on the Fastnet will be very welcome. All who have sailed in the Fastnet Race of any year and all interested in sailing will at any time, be most welcome to visit the Don Cronin sculptured 1979 Fastnet Race Memorial at Cape Clear Museum and the monument at Trá Ciaráin, North Harbour, Cape Clear island. The Fastnet Lighthouse and Fastnet Race Display at the island museum is a 20 minute audio-visual presentation with mounted exhibition panels recording other aspects of both the building of the lighthouses on Cape Clear and the Fastnet Rock. The accompanying mounted exhibition on the biennial Flagship Fastnet Race event pays particular attention to the daring rescue operation conducted by the Rescue Service of the RNLI, Coastguard, RAF and Irish Naval service during the tragic 1979 Fastnet Race. It also has the dramatic rescue off Cape Clear and the Fastnet Rock of the crew of the USA owned Rambler 100 yacht during the 2011 Fastnet Race. As the Cape Clear Museum Society is, at present unable to provide a research service people interested in consulting sources relating to the history and life of the island community past and present should make advance contact to confirm that material relevant to their area of interest is available. Consultation of documentation in the Island Archive is confined to those who have either Cape Clear island family and genealogical connections or who have a particular interest in some aspect of the islands history, archaeology, language and heritage.